By Ann-Christine Diaz . Published on September 14, 2017. TBWA/Chiat/Day has named Chris Beresford-Hill chief creative officer of its New York office. The agency veteran moves from fellow Omnicom shop BBDO New York, where he had served as executive vp-creative director. The appointment marks the first time he's assumed an agency's top creative post. Beresford-Hill steps into the role previously held by Chris Garbutt, the former TBWA global creative president, promoted in May to become the agency's global creative chief. Along with his partner fellow Executive VP-Executive Creative Director Dan Lucey, Beresford-Hill had steered some of BBDO's best work in recent years, for clients such as Guinness, Priceline.com, HBO, FedEx and, most notably Foot Locker. His oeuvre for the retailer showed the funny sides of athletic greats such as James Harden, Evander Holyfield and Mike Tyson. There was also the brand's hilarious and mind-bending "Week of Greatness" ads, riffing on the famed showdown between Manny Pacquiao and Floyd Mayweather. Beyond comedy, the work included out-of-the-box ideas such as one that turned Foot Locker retail stores into actual sneaker museums -- complete with audio tours of the shoes. Beresford-Hill will report to Garbutt and partner with New York CEO Rob Schwartz. He'll oversee creative on the agency's entire roster of clients, which includes Accenture, Adidas, Eos, Pepsico's Izze brand, Michelin, Nissan, McDonald's, TD Bank, Travelers Insurance and others. 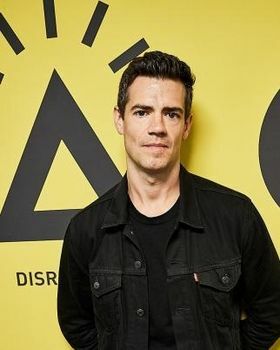 He'll also be a part of TBWA's Global Creative Core, the agency's leadership group responsible for executing its "disruption" ethos across the entire company. 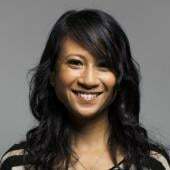 Before joining BBDO in 2010, Beresford-Hill began his agency career as a copywriter and previously served at Saatchi & Saatchi New York, Goodby, Silverstein& Partners in San Francisco, and Modernista in Boston.